Donât miss your chance to own this Beautiful 5+ Acre Lakefront Home in the Lake Nona area! Built by the current owners this 3 Bed/2 Bath home has been meticulously maintained throughout and boost over 2850sqft of Living Space! 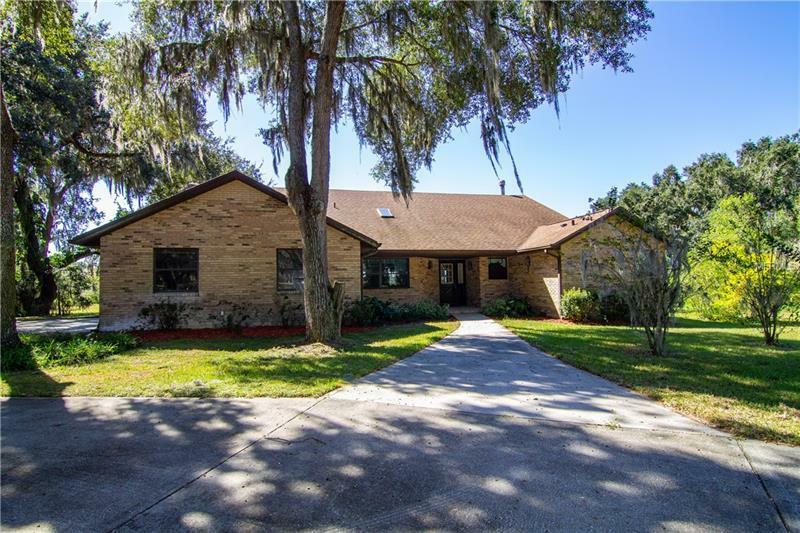 Entering the home youâre greeted by Incredible Views of the Lake with a combined Kitchen/Dining Room on the left and Living Room to the right featuring tile floors throughout and Vaulted Ceilings! The Open Kitchen features an Island with a prep-sink Breakfast Bar and Breakfast Nook that open to the Large Dining Room perfect for Entertaining Guest and Family! Off the Kitchen the Living Room features an Antique Iron Fireplace accented by a Beautiful Brick Wall with French Doors that lead into the Huge Florida Room! The 12ftx35ft Florida Room features a Large Summer Kitchen perfect for BBQâs and Lakefront Living! The home features Split Floorplan and Huge Master Suit with Vaulted Ceilings and a Recently Remodeled Master Bath with a Double Vanity and Walk-In Shower! The home also features a Large Detached Garage Brand New A/C Units New Carpet Newer Roof and Observation Deck over looking the lake! The property is also surrounded by large estates and offers plenty of privacy with NO HOA Restrictions! Located just minutes from the booming Lake Nona area this property also allows easy access to Lake Nona Medical City Orlando International Airport Hwy 417 Turnpike and the New Amazon Distribution Center. This property will not last long so call today for more information!